In April 2013 we began the first pilot of what many of you already know: calls for cloudfunding. Social investment funds in the cloud to multiply each citizen contribution. We are enormously grateful to the organizations and institutions who have dared to jump into the churning sea of crowdfunding alongside us, sharing this commitment to funding open projects supported by civil society. 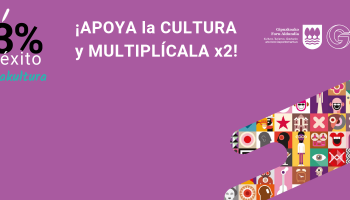 Projects of sociocultural and educational innovation through UNIAcapitalriego I and UNIAcapitalriegoII of the International University of Andalusia. Open entrepreneurship initiatives through the CoFinancia call of the Government of Extremadura as well as projects on health and healthy lifestyles through Crowdsasuna promoted by Innobasque. We also want to acknowledge the support of the Technical University of Catalonia (UPC ) in its call for accreditation of scientific and technological projects of the university community . 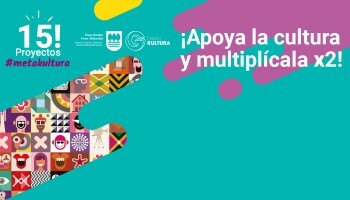 If 2012 brought the addition of the standalone node Goteo Euskadi with ColaBoraBora, in 2013 we have headed south, welcoming the Goteo Andalusia node, in the hands of the Guadalinfo network in May this year. The next node, currently in the planning stage, will be a little further north, specifically in France. But besides having surpassed 35,000 Goteo users (cofinancing, disseminating, collaborating, asking) this year, we can not talk about community without mentioning the more than 50 #LearnByFunding workshops we've facilitated since we started. This has been another record for us, with more than 1,000 people from cultural, social, academic, entrepreneurial, environmental and many other areas trained and advised on collective funding. 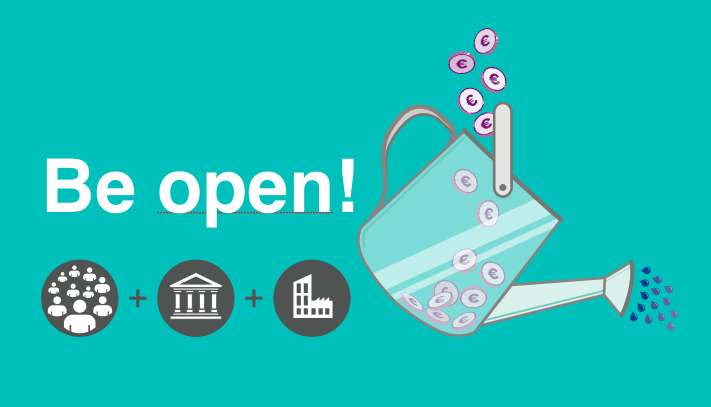 Following on from this, as a new commitment to open training in this increasingly key field of knowledge economy, this year we have also started a massive online course (MOOC) on crowdfunding with open DNA. Having surpassed one million Euros in revenue, channelled through Goteo into hundreds of projects that give not only individual rewards, but also open collective returns, this 2013 has been the year we've seen several campaigns exceed five figures in funding. Although we know that size does not matter (the smallest to the most ambitious campaigns deserve every visit, every Euro they can get) we have loved to see how some big plans have come to fruition. Amongst others, the 3D printer Foldarap in the field of peer production, the self-managed sociocultural space La Hormiga Atómica, a diagnostic tool for leukaemia and lymphomas developing between the UPC and the Hospital Clinic of Barcelona, the charity project Yuwa to aid development and empowerment of women in India through football, the Solidarity Market which will be soon launching their digital platform, right up to the recent record of funds, collaborations and time of the campaign for the newspaper Diagonal! But 2013 has also been a year of quality, and of recognition for projects co-financed via Goteo, as in the 'Smart Cities' prize for the free environmental sensor Smart Citizen, the recognition of the crowdfunding campaign for solar dehydrator Arte de mis manos as a European good practice, the Beau XII architecture award and the Golden Nica award for best digital community from Ars Electronica for Campo de Cebada (whose geodesic dome was cofinanced here) or the invitation the promoters of Social Coin received to participate in the strategic workshop of the European Commission about the potential of crowdfunding. This year we have released the hashtag #MadeInGoteo and made improvements to the platform that will be outlined below, continuing to drive this platform for crowdfunding as a catalyst and resource generator for open source communities. A year of "maker" initiatives with projects such as itinerant printer Fab mobile, the open source gasifier for Chad and open source control interface Bhoreal all co-financed. A year of copyleft culture from projects like the documentary Club Ciclista Perucha, craftsman and hacker mechanics, Different Worlds comic aimed at the deaf community and the network of cultural citizen activation Redetejas. 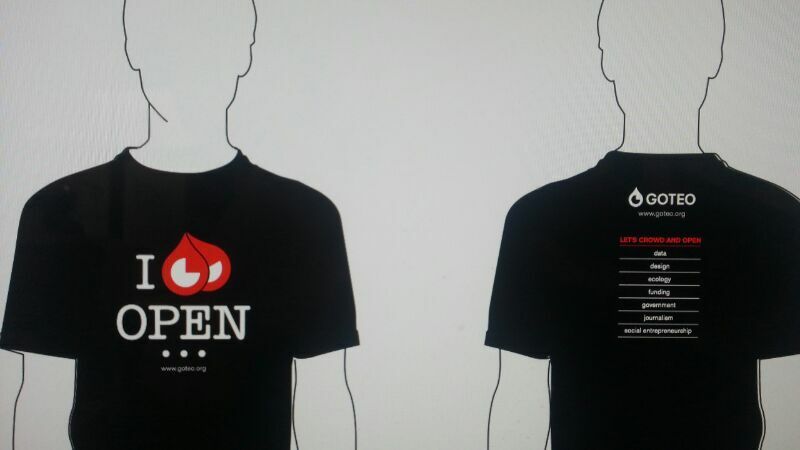 A year of transparency and open data, with campaigns such as Quién manda (Who rules?) 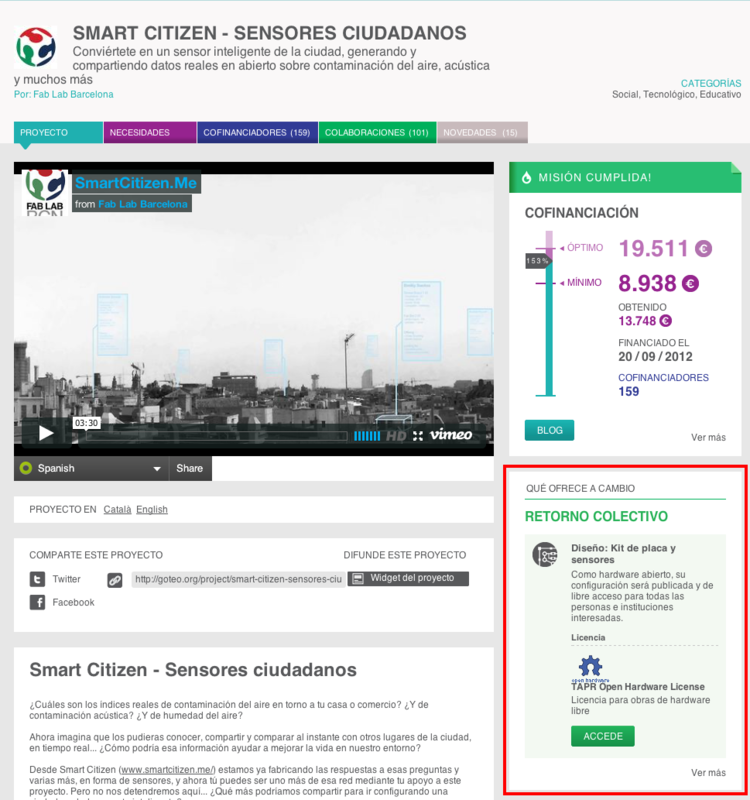 to show interpersonal relationships of power, the app Qué hacen los diputados (What Do MPs Do) for citizen monitoring of work in Congress, Proyecto Avizor tracking parliamentary activity in relation to the fight against poverty, and Escaño110, a web platform to promote citizen participation in Andalusian political life . A year of initiatives for sustainability and ecology, such as open audiovisual Regenerative Architecture resources, the BBBfarming platform which aims to bring Extremadura agroecological farms to cities, and the Un triciclo verde (A Green Tricycle) project which promotes sustainable food distribution and employment for young people at risk of social exclusion. A year of open education proposals, such as the Reevo campaign for mapping unconventional educational proposals in the Hispanic world, and the Soria Free School promoting free education for children. A year of distributed solidarity with third sector campaigns such as the campaign to send a container with essential staple products to Mozambique, the campaign for the reconstruction of a house which burnt down in the self-managed community of El Calabacino, as well as the Women gio help to help to train and empower women in rural areas. A year of new tools for another economy, among which we should highlight the social currency Ekhi for Bizcaia, the Ecosol for Catalonia, and a virtual bank of resources to transform the patterns of consumption in our society. A year of participatory journalism with campaigns like Oligopoly 2 - a short documentary about the intricacies of the energy industry in Spain and journalistic investigations “Cara y cruz de las multinacionales españolas en América Latina" and “Haití, los otros terremotos en 210 años y 146 días” , promoted by Spanish journalists. A year of free software development, with proposals like the Adlántida.tv project to provide a free broadcasting and livestream service, Kibao integrated technology system for disabled people and the FöOStation telemedicine and teletraining stations to be used in environments with extreme conditions. We have also integrated an evolution of our Decalogue dissemination campaigns on the platform, a system for notifying project promoters in a personalized manner and according to the evolution of the first and second round with tips on how to move your web project. 2013 has left us with a good taste in the mouth and many plans, thanks to things like the strategic support that will allow us to be one of 6 official hubs of a European network of organizations which connect culture, communities and democracy next year (all will be revealed shortly!). This European dimension, which will also be in the form of nodes and workshops that will come next year, is one of the priorities of the work ahead, and we continue to explore common interests in various communities and institutions in Latin America . So we are trying to grow steadily in resources and people in parallel with the reach we are achieving on social networks like Twitter, or recognition of this post of the development program of the United Nations about our funding model based on the commons. So how else could we say goodbye to the year other than by doing what we most like : recommending projects that you can support (if you haven't already, head over to our Winter catalogue to see what new crowdfunding twist you can give to the typical Christmas Gift Voucher :) ) and of course thank each and every one of the contributions to Goteo campaigns this year.